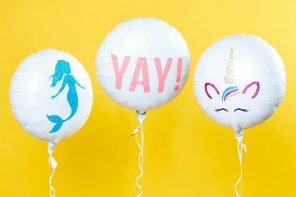 We all love to have a good party, don’t we? 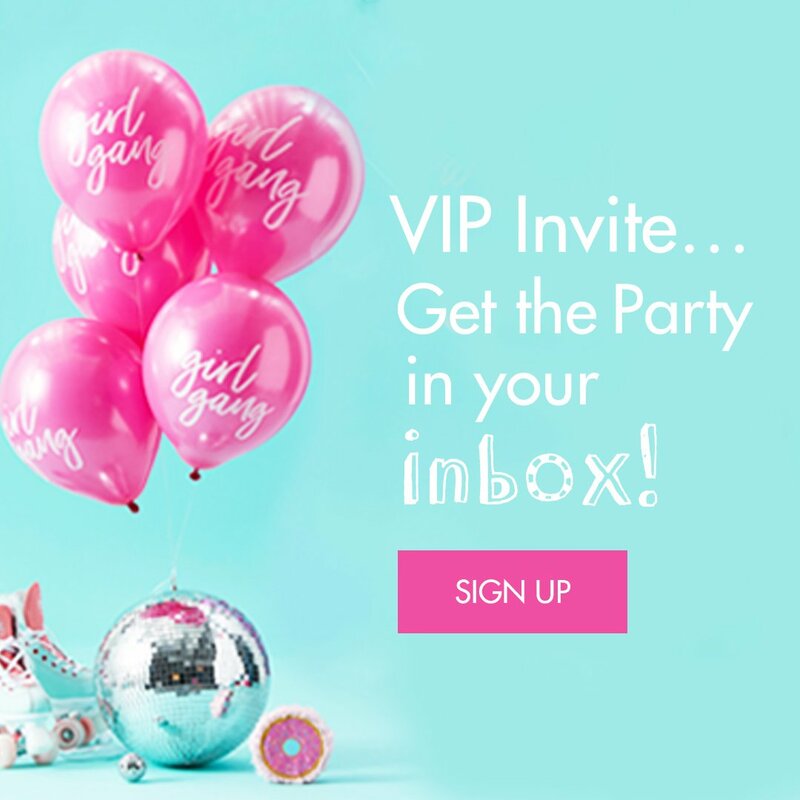 And personally, I love all the prepping and planning that goes into a party – be it a garden party or a wedding party or a children’s party. 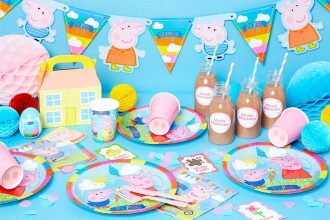 I also love to make things for our parties and I love co-ordinating everything too. 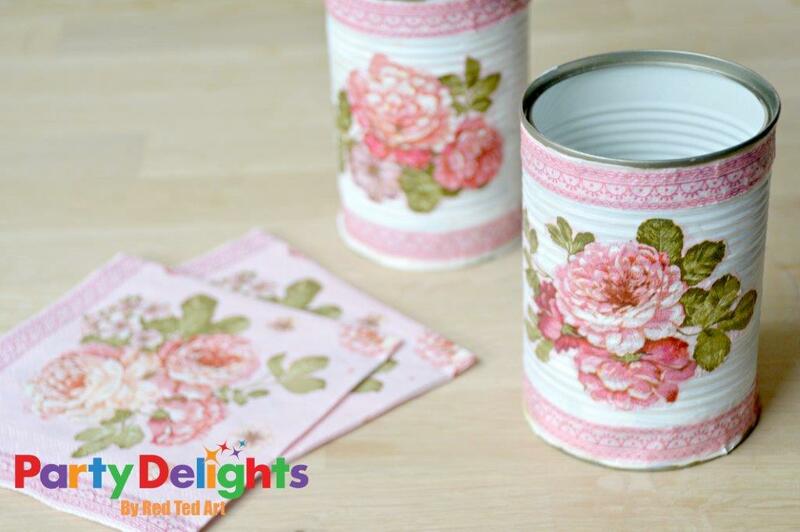 This is where our Shabby Chic party decorations come in- we customised some old tin cans to match some of our other party decor. 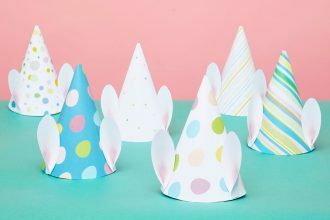 We used our selected party napkins as decorations to turn “old junk” into something pretty and new. Perfect. Enamel paints will be more waterproof and I think will last longer, however, you are likely to have to “order them in especially” and lighter colours (e.g. white often need 2 coats of paint). 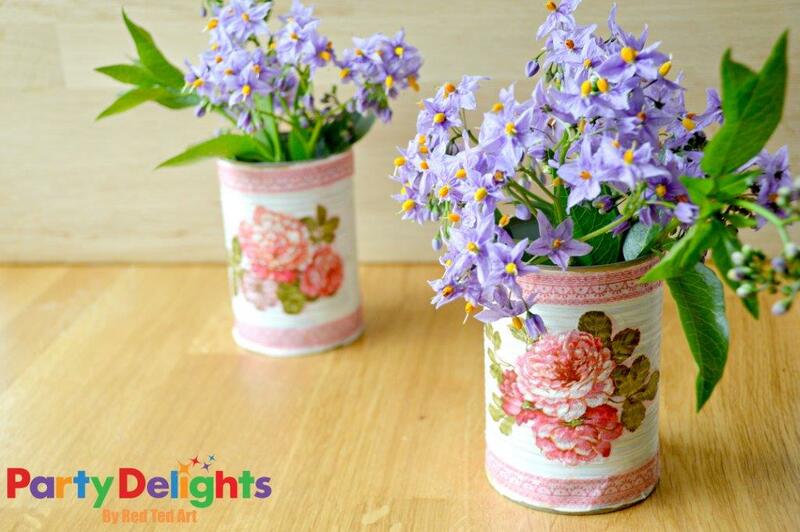 Acrylic paints are readily available, however they are water based, so if you want these shabby chic tins to be waterproof on the outside (e.g. if you are leaving them in the garden), acrylic paint is not so great. Also, if you want the cans to stay outdoors, you will have to get WATERPROOF decoupage glue or get some waterproof varnish to finish them all off! 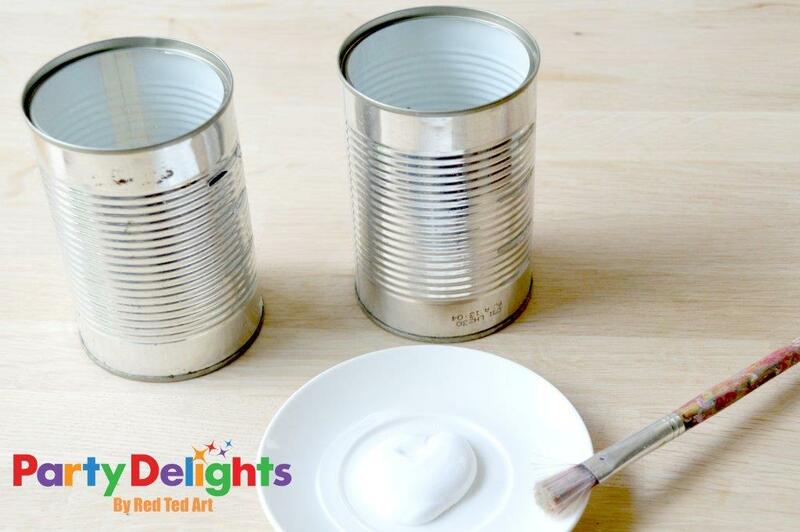 1) Start by peeling off all the paper from your can – if it helps soak the can and scrub it off. Let dry fully. 2) Paint in your desired colour. We actually made a set in purple (enamel) and white (acrylic). 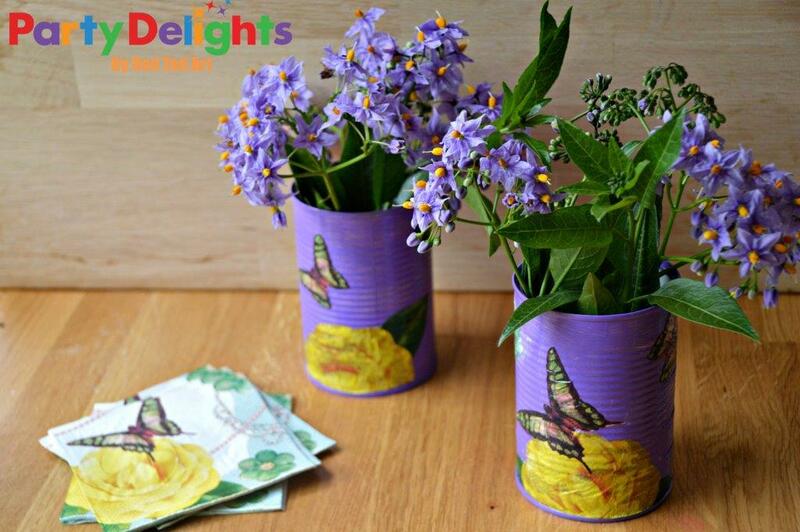 The lighter colours DO work better for the decoupage. 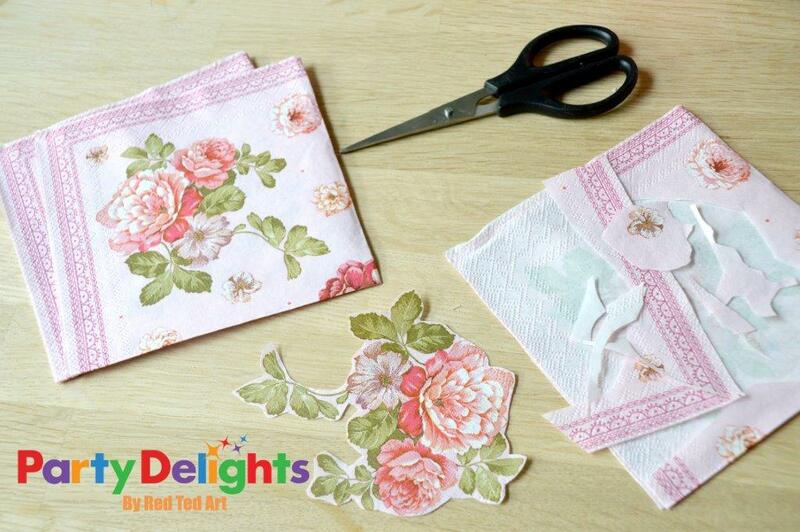 If you are using darker colours, you may want to use cuttings from magazines, as napkins will go a little see through once the decoupage glue is applied. 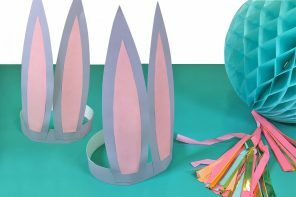 3) Cut out your patterns. On the whole smaller patterns work better (I think). Also look at the smaller details of your napkins are there other parts you can use? 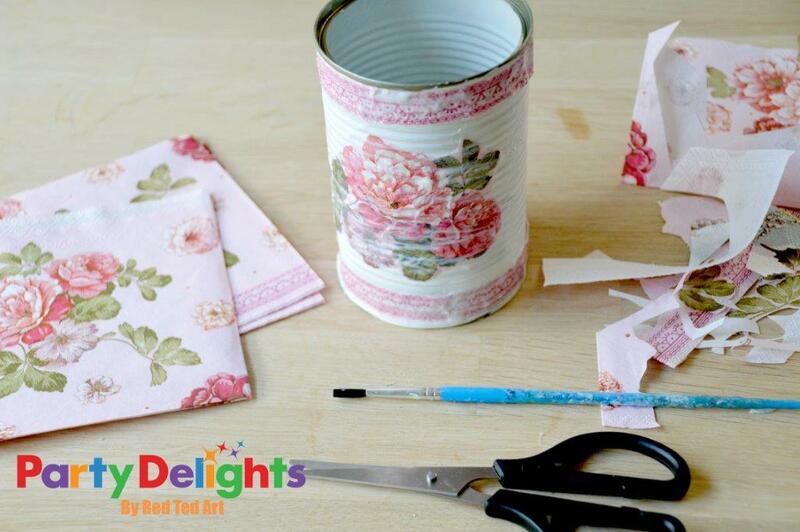 We used the boarder of or napkin to create a border for our tin! 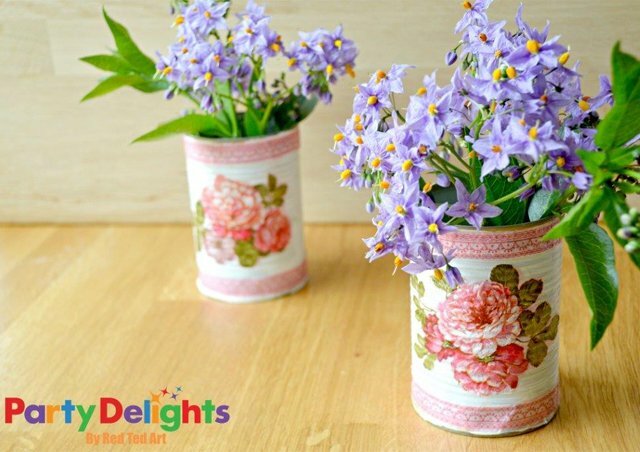 4) Add a layer of decoupage glue and then gently place your cut out on top. Using your brush, gently press it down – going from one side (top to bottom or left to right) to gently push out any air bubbles. You want to make sure that the whole area under your cut out has glue. Once you’re happy, add a SECOND layer of glue over the top to “seal” your napkin. Remember, this is Shabby Chic, so you don’t have to get a perfect finish. If you have a wrinkle here or there, it is fine, no one is going to notice. 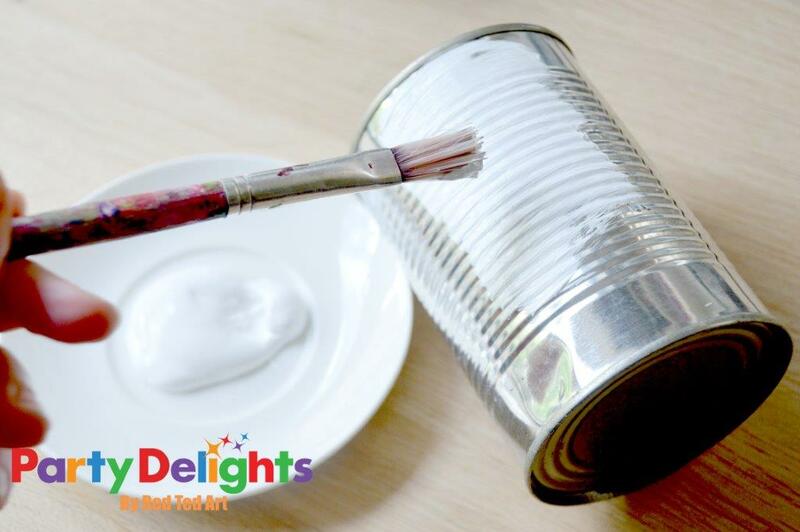 Also – if you want your cans to be fully waterproof (on the outside, the inside WILL be waterproof), add a layer of waterproof varnish. 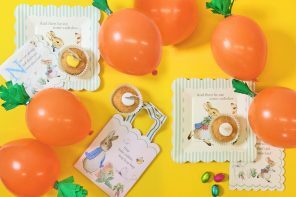 Note: “normal” napkin decoupage only uses ONE layer of napkin (check out these Easter Eggs), using one layer, will result in some moresee-through-ness, which may not be the desired colour or effect you want. For these tins, where the finish doesn’t have to perfect, I actually used the whole napkin and didn’t separate any layers off. I made sure I applied enough glue to soak through the whole napkin and seal it in place. Here we had a go with purple and yellow flowers. It does work, but I think if the can had been any darker, we wouldn’t have been successful! Experiment!! !